Primer and in some cases paint has been applied to the main rooms. Heavy doors have been hung in some of the offices and pass through areas. The new main restrooms have been tiled. Drop ceiling has been hung in all the new spaces. Data wiring has been run and the secure space for computer servers has been prepared. Windows and doorways have been boxed and framed with trim added. Baseboard heating, thermostats and other HVAC equipment has been installed. Restrooms with flooring and backsplash to the roof. Flooring and tile in new restroom. Drop ceiling partially installed in new billing office. The next steps are to complete the drop ceiling by adding tiles, complete power control installation, touch up the paint, add flooring and add fixtures to the bathrooms. When completed, the renovated space will include additional training and simulation areas, a relocated locker area, new offices, a medical supply staging area, and two new restrooms although the plans remain fluid. (L to R): ASM’s Vinnie Maston and Matt Traber. 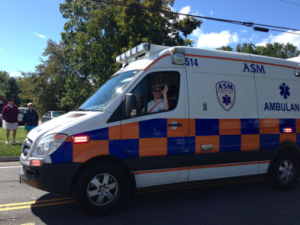 MANCHESTER – As of September 25, 2013, ASM’s Matt Traber has been cleared by Eastern Connecticut Health Network medical control for independent dispatch as a paramedic to the towns that ASM serves. Matt’s preceptors were Paramedic Supervisors Bob O’Neil and Vinnie Maston. The full precepting phase can take ten to 12 weeks or more as the paramedic is prepped for the realities of the field. 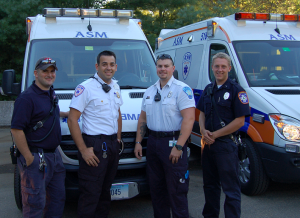 As with all precepting phases at ASM, Matt’s final approval came from Eastern Connecticut Health Network after shadowing Matt and his preceptor in the field as they responded to emergency calls. 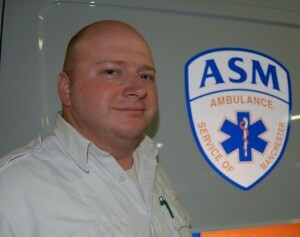 Matt started at ASM as an EMT-Basic in 2008, has been an EMT in Connecticut since 1996 and also works for the Mohegan Tribal Fire Department. Matt graduated from the Capital Community College Paramedic Program. On behalf of the ASM Family, we would like to wish Matt the best of luck and say we are very proud to have such skilled professionals on staff. Quick, well informed staff. Thanks! You probably saved my life. Thank you for your prompt care. Professional. The techs were very professional and treated the issue very serious[ly]. Listened to me and asked all the right questions. Explained all the moves they made. Very pleased (13-74038; J. Bissell, R. Bilodeau). Superb. The two EMTs that responded, Scott Crittenden and Brian Langan, we’re excellent. As a business owner myself, I feel these gentlemen went above and beyond and [were] so kind as well as professional (13-74442). SOUTH WINDSOR — Hundreds of firefighters, fife and drum corps and emergency service but by far best represented were South Windsor’s finest – police, firefighters and Explorers, elected officials, veterans, ambulance… See the full gallery here. ASM was proud and honored to participate in the parade component and congratulates South Windsor Fire Department on their 75th Anniversary. I checked the Aetna Ambulance website, read about the company’s history, and emailed members of management to find out more. 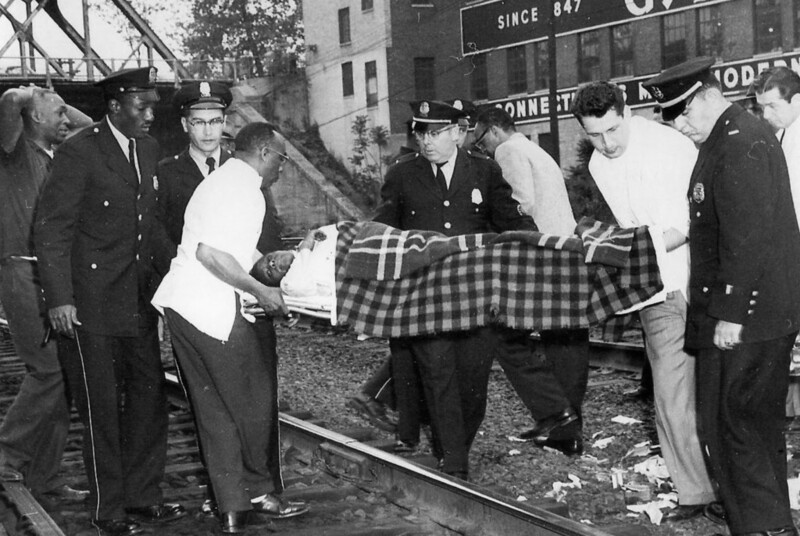 Aetna management got back to me right away, answered a lot of my questions and also put me in touch with Dianne Grady Evans, daughter and niece of Howard and Herman Grady, founders of Aetna Ambulance. For tickets: Contact Mike Makulis at ASM or Dawn Sopelak at Manchester Memorial Hospital Emergency Department. Cost: $35 per person includes a buffet dinner, cash bar and a gift for Larry. More information to follow. Please reply to this post if you have pictures of Larry to use at the event and arrangements will be made. Note: Aetna Ambulance does NOT provide emergency services to the Town of Simsbury. 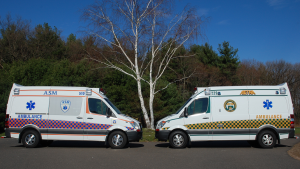 Aetna’s presence was at the discretion of the Simsbury Volunteer Ambulance Association in accordance with Department of Public Health guidelines. Always dial 9-1-1 in the case of an emergency. SIMSBURY — The Federal Aviation Administration is investigating an incident at Simsbury Airport Sunday morning where an airplane veered suddenly off the runway. 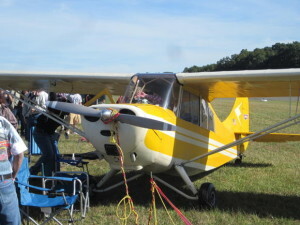 The airplane was arriving at the airport about 10 a.m. as part of it 28th Annual Simsbury Fly-In. The event features airplanes and antique cars. There were no injuries to spectators or people on board the airplane, Boulter said. Simsbury firefighters, police, an Aetna ambulance crew and fly-in staff reacted immediately, Boulter said. Two Federal Aviation Administration inspectors were at the fly-in and are investigating, he said. 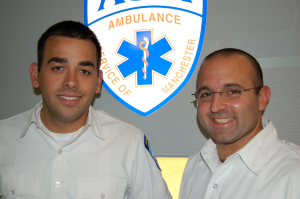 Mike Levasseur – Ambulance Service of Manchester, LLC. “I am an employee at Windham Hospital, and I have worked here for 11 years. Over this past weekend we had an emergent transfer from our Emergency Department to Hartford Hospital’s ED. The patient had a severe head injury, and your team was very quick to respond. This is not where my praise ends. The reason of my note is to thank and bring to attention to one of your medics. 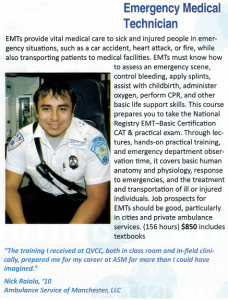 DANIELSON — In September 2013, Quinebaug Valley Community College released its Fall 2013 course catalog with ASM EMT Nick Raiola prominently displayed on the cover. 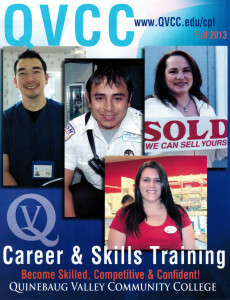 QVCC sought out Nick as a former student now working in the field for which they received training from the college. Nick can also be seen on their homepage as linked above. 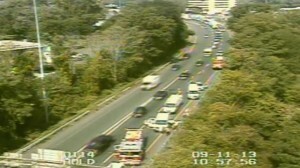 A crash was reported on Interstate 84 east in East Hartford on Wednesday morning. According to Ambulance Service of Manchester, three ambulances were requested to the scene after eight people were reported in a van involved in the crash. The two left lanes were closed as a result of the crash, and traffic is reported to be heavy in the area. It’s unknown if anyone was injured. ASM’s Vinnie Maston and Bryan Mathiau with members of Hebron Fire Department. HEBRON — On September 8, 2013 three ambulances from the Ambulance Service of Manchester were on hand at Hebron’s 43rd Harvest Fair where country band Florida Georgia Line performed. The fair drew a record 135,000 attendees over the course of two weekends according to the Journal Inquirer. The Hebron Lions Club contracted ASM to assist in providing medical services during the concert portion which drew over 34,000 attendees. 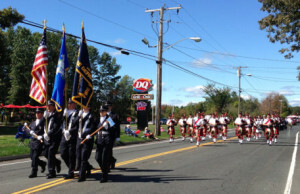 Direction came from the Hebron Volunteer Fire Department and Windham Hospital EMS Paramedics. 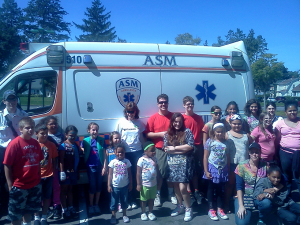 EAST HARTFORD — On September 7, 2013, Ambulance Service of Manchester’s (ASM) Heather DiGirolamo and Matt Kleza presented the basics of Emergency Medical Services and gave ambulance tours at a Scouting Family Day on the East Hartford town green. (Picture appears with written troop leader permission). EAST HARTFORD — Three ambulances have responded to a school bus accident on I-84, according to an ambulance company spokesman. 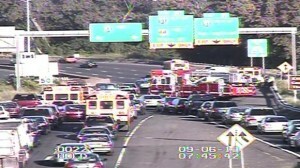 The accident happened about 7:30 a.m., on I-84 west, near the Connecticut Boulevard ramp. 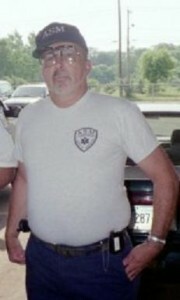 Ambulance Service of Manchester, LLC responded, said David Skoczulek of Aetna Ambulance Service, Inc. The injuries are minor, he stated in an emailed press release. A small school bus is involved, he said. Damage to the bus is reported to be minor. It wasn’t clear if the injured occupants are students. Read the Courant article here. 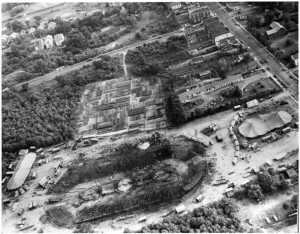 HARTFORD — Date unknown, likely early to mid 1950’s. The location is discernible from the background. Any guesses? Superb! Just thank you so much!